Our fabrics are made from certified organic cotton grown in India without the use of pesticides which are toxic and harmful to farmers, consumers and the ecosystem. These growing techniques also maintain soil fertility and limit water usage. Our fabrics are made using AZO free and heavy metal free dyes that are less harmful to the environment and human health. 3% of our annual retail profits go to support the Women’s Skills Development Project at the Meher Road Foundation that provides training and income for women artisans through upcycling projects. We ensure that the artisans we work with are supported by fair living wages and face no discrimination or unsafe working conditions. 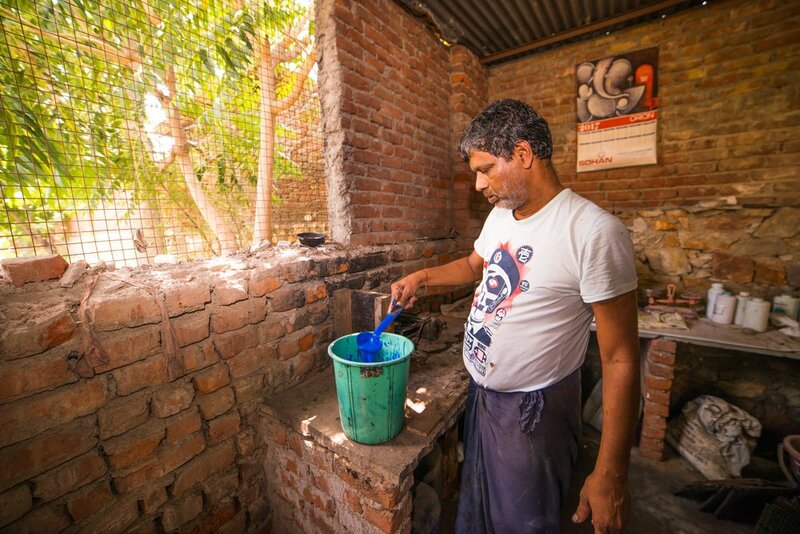 We provide employment to artisans by supporting ancient techniques, such as block printing, that have been passed down through generations. Avela is a socially conscious and ethically made brand owned by two travel-loving best friends. Marine biologists turned entrepreneurs, Ali and Gadea are adventurous, creative and passionate about this earth. They are based in Hawaii and have always been drawn to different cultures. After traveling around the globe together and immersing themselves in the local traditions and experiences, they were inspired to start this business.